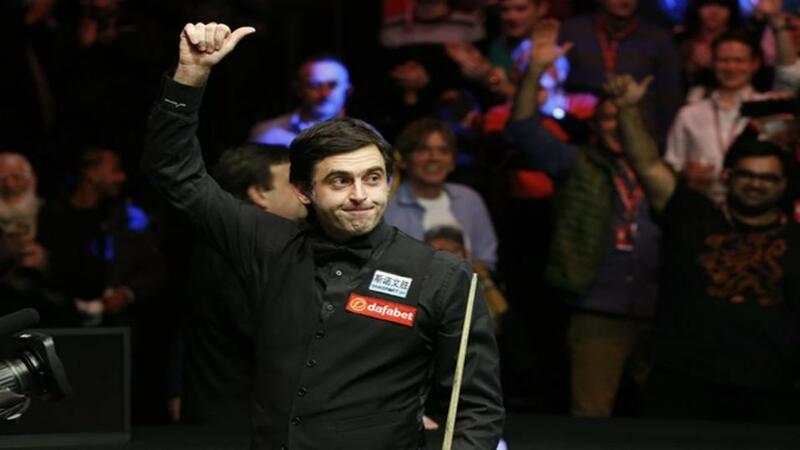 "Historically, this has been O'Sullivan's best major target - illustrated by 12 appearances in the final - and he's become more reliable with age, winning six of the last 13 renewals and three of the last four." 23 years on from winning the first of his seven Masters titles, Ronnie O'Sullivan starts a red-hot 3.5 favourite to land consecutive snooker majors following victory at the UK Championship. Restricted to the world's top-16 players, this is the strongest field of the season and the cream nearly always rises to the top. There's absolutely no reason to think it won't be business as usual. A few months ago, most would have named Mark Selby as the one to beat but the Rocket is certainly top dog on recent form. In winning the English Open and Shanghai Masters, he was at his (unbeatable) very best. The UK victory was more workmanlike, and lucky against Sunny Akani, but comprehensive nonetheless. Historically, this has been O'Sullivan's best major target - illustrated by 12 appearances in the final - and he's become more reliable with age, winning six of the last 13 renewals and three of the last four. As always in this event, there are tough hurdles. First round opponent Marco Fu hasn't beaten O'Sullivan for nine years and has achieved very little of late, but the quarter-final could be very tricky. There he would face either Mark Allen, who won both their previous major encounters, or rising star Luca Brecel, who won their latest meeting in China. The latter is eyecatching at 44.0. If tournament form counts for anything, this section won't take much winning. John Higgins is hot favourite to emerge but hasn't reached a Masters final for 12 years, losing half of his first round matches during that period. Ding Junhui has won only one match in seven since winning the title in 2011. Ryan Day only one from five ever. Anthony McGill is a debutant. At these dismissive odds, Day represents cracking value. His recent form is excellent, reaching the UK semis and playing well previously at the Northern Ireland Open where he narrowly lost a cracking match to Yan Bingtao. He certainly shouldn't fear Ding first up, given how his form has fallen off a cliff since winning the World Open. Speaking of poor tournament records, three of this quartet certainly qualify. Judd Trump has yet to reach a Masters final and lost three of his last four opening round matches. Ali Carter has just two from 12 and Liang Wenbo lost both previous matches here. That adds fuel to my immediate instinct about this section - that 2015 champion Shaun Murphy is the value at 13.5 on the exchange. The Magician was superb when runner-up to Ronnie at the UK Championship and beat him previously in the Champion of Champions final. However one negative is a consistently poor head-to-head record against Carter, whom he meets first up. The Captain again beat him twice in last week's Championship League. Instead, Wenbo is worth a try at these odds. Those two Masters defeats were entirely forgivable. He threw a golden chance away when losing 6-5 to Ronnie last year and ran into an on-fire Higgins in 2016. The Chinese star has been known to peak at majors, most notably reaching the 2015 UK final and also playing brilliantly in defeat to Ding at the last World Championship. He's got every chance of upsetting the odds against perennially under-priced Trump, whom he leads 4-3 over their careers. With Ronnie already in the plan, this bottom section presents a staking dilemma - can we afford another big bet on the second favourite? Given his record in majors, of which he has won three of the last six, 5/1 is very tempting about Mark Selby. The world number one hasn't been at his best this season but did win the International Championship - one of the more significant ranking titles and, like this, played over best of 11 from the outset. This draw isn't easy but is nicely set up to produce a fourth O'Sullivan v Selby final. The Jester will likewise start favourite against anyone en-route to the final - only Murphy and Trump will be even close in betting terms. So lets have a smaller, outside bet on the outright while taking 6/1 about the favourite in the Nominate The Finalists market. Selby's pedigree notwithstanding, a good case could be made for any of the other three in the section. Mark Williams was in superb form during November and, while Barry Hawkins is enduring a grim season, he is a majors specialist. Wilson gets the nod at these odds though. The Warrior has risen to the top grade very quickly and is progressing fast. Twice a losing ranking finalist this season, Wilson wasn't frightened of the biggest stage of all when reaching the last two Crucible quarter-finals. Given their respective form, I'm surprised he's at bigger odds than first round opponent Hawkins.